Earlier today Sky Sports ran a news story reporting on how Tyson Fury has not yet applied for a licence to box in either New York or Las Vegas – these two sites being the frontrunners to host the expected Fury-Deontay Wilder WBC title clash in either November or December of this year – and the piece certainly suggested the fight might be in jeopardy as a result of this. 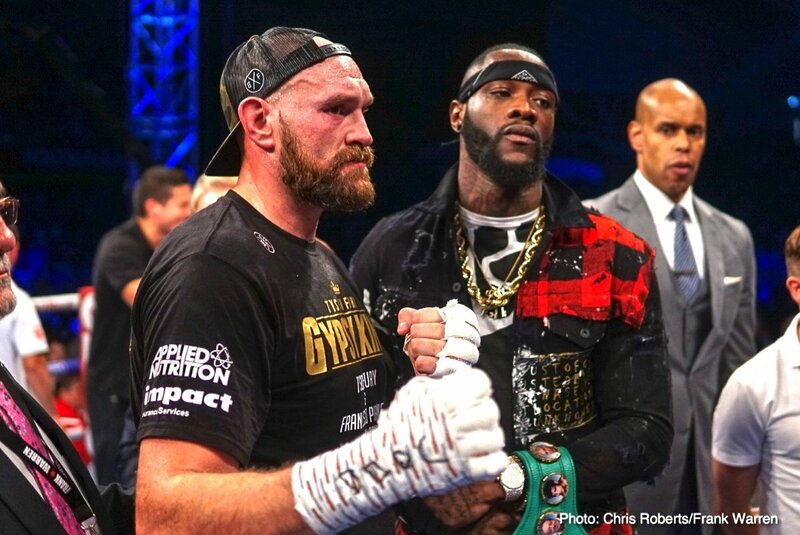 Why is is that so many people seemingly want the Wilder-Fury fight to collapse? It couldn’t be jealousy, could it? Or could it be a fear on the part of certain individuals that the Wilder-Fury showdown and all the attention it has received has taken a good amount of interest away from the upcoming Joshua-Povetkin fight?